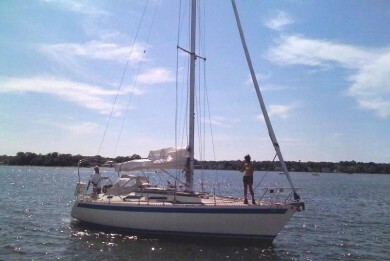 More sailing, less expense and no maintenance. Compared to owning, renting or chartering, membership costs much less, with total flexibility to use the boat for both longer trips and short daysails. Some members make a single, 17 day reservation, and sometimes keep the boat close to their office or home. Most members use a mix of half or full day weekends, and a few longer trips. It’s your choice. Boat ownership is expensive, with the purchase price and/or finance payments a small part of the cost. Winter and summer dockage runs from $140 – $190 a foot, if you can find a slip, and you often must pay for a larger slip than needed. If you’re not handy or your time is limited, running expenses will cost far more than you can imagine. Insurance, upgrades and maintenance are around $2,000-$5,000/yr for a 20’-25′ sailboat, $5,000-$10,000 for a 25’-30′ sailboat and $8,000-$20,000 for 30’-40′ sailboat. Finally, boats depreciate, sometimes by very significant amounts. Many of our members eventually buy their own boats (and often use our expertise as brokers to help them make a good decision), and boat ownership can be a source of great pleasure. However, all our former member tell us they had no idea about what a great deal Sound Sailing was until they were owners! Having your own boat, set up exactly as you wish with all your gear ready to go, is a joy. Membership at Sound Sailing can help you decide if sailing is for you, and what boat size and type makes sense. Of course, many of our members are experienced sailors, and either did not use their yacht enough to justify it, or are tired of the maintenance and expense. Plus, they love the great boats we have! We offer Daysailer and Yacht Memberships. 10% off all SSC services including lessons. Exchange Privledges with the Boston Sailing Center, presently just for Daysailers but Yachts may be added. 6% off for renewal members after 3 years of membership, 7% after 5 years, 8% ofter 7 years, etc. The membership fee can be paid over 4 consecutive months, with a 1% charge on the balance added to each payment. Daysailer memberships allow you to use our daysailers as often as you want for one year from when you sign up. Take your friends or family, or sail single-handed. When you have the boat reserved, it’s your boat. The principal restriction with Daysailer membership is that you may only have one four hour reservation outstanding at a time. This allows all members equal use of the boat. Since there are never more than seven members per boat, and six time slots per weekend, (9:00 am to 1:00 pm, 1:30 pm to 5:30 pm, and 6:00pm to sunset) you can easily sail as often as you wish. Many members sail over 20 times a year, and one of our female members sailed 52 times in a year! Members can keep on sailing if their boat is not reserved afterwards. Typical availability is over 90% for daysailers booked at least a day in advance. That’s why we have so many repeat members. Members can cancel Daysailer reservations without penalty. Naturally, we, and the other members appreciate as much advance notice as possible. 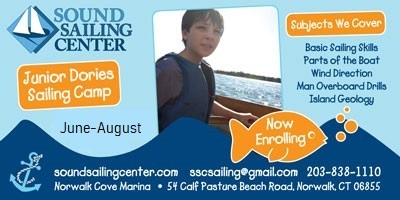 You must email us at SSCsailing@gmail.com to cancel your reservation. Daysailers may not be used if winds over 16 knots and/or gusts over 19 knots are forecast or if small craft warnings are issued by Noaa. Daysailer members may only have one reservation outstanding at a time. Yacht Memberships allow use of our yachts ranging from 27′, all the way up to 40′. Full day use runs up to 23 hours starting at 8:00 am or 2:00 pm. Half days run from 2:00 pm to 7:00 pm, or 8:00 am to 1:00 pm. Weekend rates start Friday at 2:00 pm and run till 7:00 pm Sunday. Availability in our program is far better than with our competitors, some of whom have (or had) 10 members per yacht. We never have more than eight members per yacht at Sound Sailing Center. In 2007, we had four new competitors within 20 miles. They are now all gone. The following applies to all Yacht Memberships. 1. General Information All Yacht Memberships run for one year. The Membership fee makes you one of the 7 members per yacht (x the number of yachts in the class) and also allows unlimited no cost Ensign use for a year. Members pay a low per use charge for Yacht Use. Charters are expensive. For example, our Contest 36 costs about $900 per weekday or $3,700 for one week. Members pay $170 per weekday or $1,340 for a week. It’s useful to understand the marina’s, finance companies, service providers, insurance companies etc do not charge based on use. SSC is billed upfront. Our costs are fixed and do not vary based on how much you use the yacht. The Membership fee is your way of locking in use of the boats for a year at a very reasonable cost and allows us to make sure we do not have too many or too few members per yacht. Mon-Fri memberships are ideal for retired sailors who only sail on weekdays. No weekend or holiday use is allowed. Mon-Fri members do not count towards the 7 members per yacht limit. Any Day memberships allow you to sail on any day of the week including on weekends. Rates are guaranteed until Jan. No smoking or animals allowed below decks. We will take care of refueling the boat if you had the motor on for less than 2 hours. Over 2 hours of run time, please refill the diesel tank. See our vessel checklist and instruction for more information. 2. Scheduling: SSC yachts are available May 15 to October 15, and normally are available earlier (or later) depending on the weather and member requests. Each yacht may be removed from service for up to 2 weeks per season for maintenance. Ensigns are available year round. I, the Member must be aboard the yacht at all times when it is underway and reserved for me. SSC reserves the right to remove, add or change boats in the fleet, similar in size and type to the existing boats, so long as the member / boat ratio remains around 7 x the number of boats. SSC keeps a 32 and 35 yacht in the Mystic CT area, which for 2018 will be the Contest 36 and the C&C32. We may also keep an Ensign and 40 class yacht in Mystic for 2018. The remaining boats are kept in Norwalk. New locations are being considered. 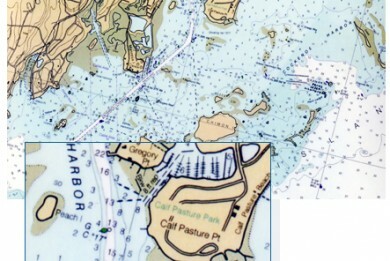 The navigational limits are NY Harbor to Cape Cod for the Mystic Boat, NY to Block Island for all others. 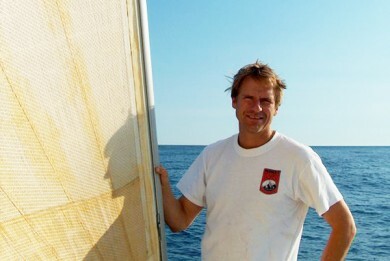 The 40 class yachts can be sailed from CT to Maine in the summer and in the Virgin Islands in the winter. 40 members can assist in the Ocean Passages for a minimal charge covering expenses. Full Day (23 hour) yacht usage runs from 9 am to 6pm or until 8 am the following day. Half Days run from 9:00 am to 1:00 pm or 2:00 pm to 6:00 pm. Weekend usage starts Friday at 2:00 pm till 7 pm Sunday. Any usage on a federal holiday including Labor Day and Memorial Day will be charged at the weekend rate. If the boat is not reserved, I may start my reservation a half day earlier or extend my reservation by a half day for no charge 22 hours before I am scheduled to depart. The free extension must be scheduled by Sound Sailing – call or email us. Once we have given you your password, normal scheduling must be done online. If you do not follow the rules of this agreement your reservations and or membership is subject to cancellation. You can have two reservations outstanding at any time. A reservation is as many connected days as you wish. 3. Use of Other Boats, Check Out fee’s: If available, SSC make occasionally make larger boats available to Members if the larger yacht is available less than 24 hours before the intended start date. All Members are entitled to make one advance reservation per year on a boat larger than their class. Members may use any boat in a class smaller than the one they have signed up for. Members will be billed for usage at the normal member rates for that particular boat. SSC requires a written test to assess sailing skills. 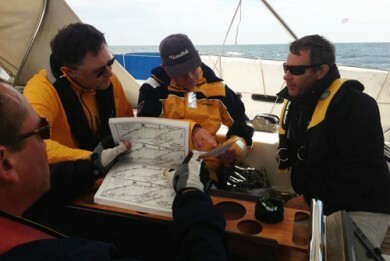 SSC requires all Yacht members to be able to plot a course using their charts and correct for tide using Eldridge. An on the water checkout will be provided at no charge for the boats in the class I have signed up for. Members will have to pay a check-out fee to use a boat not in their class. A check out takes 1-1.5 hour and costs $100. Please read our Cruising Handout and specific boat instruction before the check out. Bear in mind that sailing in New England waters is more difficult than sailing in the Chesapeake or Caribbean. Note that SSC classes will bring experienced sailors up to speed on single handed docking, mob drills, and other skills at a reasonable cost. 4. Cancellations: Within the first 24 hours of making a reservation, Members may cancel or alter a reservation without being charged. If another member takes over my canceled reservation, my account will only be charged a $50 Change fee. Cancellations due to weather related issues such as heavy rain, dense fog or winds over 18 knots for over 30% of the daylight portion of the reservation will not result in any charge. 5. Insurance: All Sound Sailing Center Yachts carry Marine Insurance (via Travelers Insurance) and are insured against fire, marine and collision risks. $3,000,000 of liability insurance is included.